DOE’s Vehicle Technology Program: Funding for the US Department of Energy’s (DOE’s) advanced vehicle technology program may be reauthorized in Washington. U.S. Senators Gary Peters and Debbie Stabenow (D-Michigan) and Sen. Lamar Alexander (R-Tenn.) introduced a bill that would reauthorize the Vehicle Technology Program’s budget at $314 million in the next fiscal year; it would also include a 4% annual increase after that through 2020. That DOE program has been running without congressional reauthorization for the past seven years; in that program, DOE works with researchers on alternative fuel vehicle projects. The new funding program would add R&D on vehicle-to-vehicle and vehicle-to-infrastructure to its roster. EV taxes and incentives: On July 1, Oregon will begin testing a first-in-the-nation model that will be of interest to states attempting to add electric vehicles (EVs) and hybrids to its tax revenues. Up to 5,000 volunteers can sign up to drive with devices that collect data on how much they have driven and where; test project volunteers will agree to pay 1.5 cents for each mile traveled on Oregon roads instead of the tax now added when filling up on gasoline at the pump. The state thinks it would help pay for road and bridge projects during a time when tax-based revenue from gasoline taxes has been declining across the country during an era of more fuel efficient vehicles and purchases of hybrids and EVs. In other news, the state of Connecticut is now offering a cash rebate up to $3,000 for those purchasing EVs. It’s part of the state’s efforts to bring more charging stations to Connecticut and to promote the use of EVs. Along with that, the state is now offering auto dealers bonuses for selling EVs and hydrogen fuel cell vehicles. Rio Honda College wins hydrogen grant: Professor John Frala announced that Rio Hondo College has been awarded with three-year grant funding to develop a training model for stationary and mobile fuel cell technicians. National Science Foundation is funding the first-ever hydrogen program that will support training and development of hydrogen fuel cell vehicle technicians. Frala also said that Rio Hondo College, based in Whittier, Calif., is the first college to now offer a bachelor of science degree in Automotive within the state of California; that was announced last week by Gov. Jerry Brown, Frala said. Analysis of used green vehicles: Used green vehicles – including compressed natural gas (CNG) vehicles, hybrids, electric vehicles, flex-fuel vehicles, and propane autogas vehicles – are seeing increasing volume and activity at auctions. Green Fleet published a comprehensive report on what fleet managers and remarketing experts are seeing in used vehicle values out in the US market. Bobit Business Media, which publishes Green Fleet, also announced it will host what it describes as the largest Green Ride & Drive Event in the US; that will take place during Fleet Technology Expo (which was previously called Green Fleet Conference and Expo), which is taking place Aug. 24-26, 2015 at the convention center in Long Beach, Calif.
Uber testing out driverless cars and EVs: Uber, which is considered to be the giant of the new ridesharing/ride-hailing transportation segment, is testing out a driverless car in Pittsburgh with the label, “Uber Advanced Technologies Center” painted across its side and rotating sensors on top of the car. It’s in partnership with the autonomous vehicle research center at Carnegie Mellon University and will be researching mapping, safety, and autonomous systems, according to the company. In March, the company announced that it’s trying out 25 battery electric vehicles as part of its offerings in Chicago. That test program is in partnership with BYD, where drivers and passengers are trying out the BYD e6 electric car. In other significant news, the New York Times reported yesterday that US airports are becoming more willing to try out allowing Uber and other ridesharing companies (such as Lyft) to have access to the airports – as a fee revenue source and because consumers are demanding access for Uber to drop them off and pick them up at major airports. Taxi and livery companies have been fighting ridesharing companies from having access to their markets without paying medallion and trip fees that they’ve had to pay all these years. $15M in California grants: The California Energy Commission has approved nearly $15 million in state grants for alternative fuel vehicles. Transportation Power, Inc., won nearly $9 million for an electric garbage truck, an advanced battery-electric truck and a heavy-duty electric yard tractor in three different projects; nearly $3 million is going to Motiv Power Systems, Inc., to demonstrate an electric refuse and loader truck in the Sacramento region. North American Repower won $3 million to demonstrate six armored security trucks that were converted form diesel to plug-in hybrid that also runs on renewable natural gas. Audi adding more electric drive: Audi will expand its electric vehicle offerings next year with an electric-powered Q1 crossover coming out next year. An electric sporty SUV will be launched in 2018 and an electric version of its flagship Q8 SUV will roll out in 2019, the company said. It’s part of building “a solid foundation” for Audi’s growth plan as the world’s top global premium brand in vehicle sales. IMPCO added to GM’s CNG vehicles: IMPCO Automotive was awarded General Motors’ bi-fuel Chevrolet Silverado 2500HD Cab Chassis for model year 2016, 2017, and 2018. The new Cab Chassis program expands IMPCO Automotive’s existing OEM working class vehicle programs for GM, which includes Chevrolet Silverado 2500HD and GMC Sierra 2500HD pickups with multiple Cab and bed configurations, and dedicated CNG full-size Chevrolet Express and GMC Savana vans. Kansas City competes for EV crown: Kansas City Power & Light (KCP&L), which provides electricity to Kansas City, Mo., and Kansas City, Kan., is moving full steam ahead on installing 1,001 electric vehicle (EV) charging stations to solve the range anxiety dilemma and bring more EVs to the area. “If you build it, they will come,” Chuck Caisley, KCP&L vice president of marketing and public affairs, said. Clean Charge Network, announced in January, initially will consist of 1,001 240-volt stations and 15 direct current fast-charging stations. About 150 of the charging stations have so far been installed, and the utility plans to finish the job this year. The program has gained automakers as sponsors, including Nissan. Propane paratransit buses: SMART, a regional public transportation provider in southeast Michigan, has become one of the five largest propane autogas powered paratransit fleets in the US by adding 61 new Connector paratransit propane-powered buses. SMART expects the propane buses to reduce emissions, lower fuel and maintenance costs, and extend the life of the vehicle. SMART researched various alternative fuels, and made that decision based on the fuel being more affordable and readily available and for resolving “the stringent and complicated emission control issues experienced with the diesel-fueled paratransit buses,” according to SMART’s propane-autogas vehicle supplier, ROUSH CleanTech. 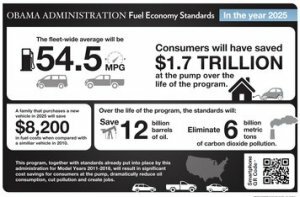 State of the Union: Where do federal fuel economy and greenhouse gas emissions targets actually stand? Federal fuel economy and greenhouse gas emissions standards for new vehicles sold have had a huge impact on light duty passenger and medium-to-heavy duty vehicles being built and sold in the US. Consumer Federation of America (CFA) is hopeful that the 54.5 mpg by 2025 target for passenger vehicles can be met, though some automakers are lagging way behind their peers. A new study by CFA calls out a few of the automakers for dragging down the numbers. The dramatic drop in petroleum fuel prices over the past year is also having its impact on new vehicle sales numbers with truck and SUV sales climbing. Where does all of it stand in terms of hitting these ambitious federal corporate average fuel economy (CAFE) standards? Analysis by the CFA states that from 2014 to 2015, the percent of vehicles with a US Environmental Protection Agency (EPA) fuel economy rating of at least 23 mpg increased from 50.5% to 52%; the percent of vehicles with fuel economy at or below 16 mpg declined from 8.5% to 6.1%. CFA says that some automakers are performing very well on improving fuel economy (Volvo, Honda, and Mercedes-Benz), while other automakers are doing poorly (Kia, Subaru, and General Motors) based on making progress in increasing the number of models they’re making and selling that comply with the year’s CAFE standard. In reviewing 2015 models, CFA found that the biggest jump was in the 27-30 mpg category, which improved from 14.8% to 16.5% in 2015. The Ford F-150, which had a 2014 fuel economy range of 13-19 mpg, jumped to a range of 17-22 mpg in 2015 through switching to a lighter aluminum body. “There is no doubt that since the announcement of higher CAFE standards, many car companies have improved their selection of vehicles with greater fuel efficiency, proving that 54.5 mpg by 2025 is achievable. The fact that the number of cars getting over 23 mpg has risen by almost 40 percent in the last ten years is strong evidence that reaching the goal of 54.5 mpg by 2025 is indeed attainable,” said Jack Gillis, author of The Car Book and automotive expert for CFA. Automakers are focusing more on increasing sales of light duty truck and SUVS lately. CFA found that the percentage of CAFE-compliant light trucks and SUVS declined significantly in 2015, bringing the percentage of CAFE-compliant from 66% to 44%. The University of Michigan’s Transportation Research Institute that the actual fuel economy of new vehicles sold in the US in April 2015 was 25.2 mpg, versus 25.4 mpg in March 2015 and 25.3 mpg in April 2014. The high point was reached in August 2015 at 25.8 mpg. Gasoline and diesel prices had begun their spike by that point and took their toll, with truck and SUV sales increasing along with their used vehicle values. Margo Oge, former director of EPA’s Office of Transportation and Air Quality and author of “Driving the Future: Combating Change with Cleaner, Smarter Cars,” along with Mary Nichols, chairwoman of the California Air Resources Board, earlier this month wrote a guest column for The Detroit News calling on the federal government and automakers to avoid weakening the federal standards. 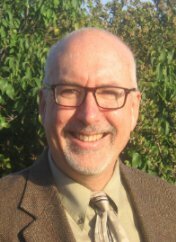 “The recent dip in gas prices has led some to suggest that automakers should shift back to supplying more of the large and less fuel efficient cars and trucks that were popular with consumers a decade ago…… This is exactly the wrong time to take our foot off the accelerator of advancing technology. It is time to embrace the transformation of the automobile and harness the environmental and economic benefits of the industry’s shift towards safer, greener, and ‘connected’ vehicles,” they wrote. Sergio Marchionne, the CEO at Fiat Chrysler, raised the issue in January when he said that while automakers could reach the 54.5 mpg target, he doesn’t think that year is a realistic timetable to accomplish it. “The question is whether 2025 is a realistic date for which to achieve it,” he said. Other industry executives have joined in, citing cheap gas prices, mediocre support of alternatively fueled vehicles and the technology limitations as obstacles that make a fleet average of 54.5 mpg unattainable. On the commercial vehicle side, truck makers are anxiously awaiting phase two of federal standards for heavy-duty vehicle fuel economy and emissions. 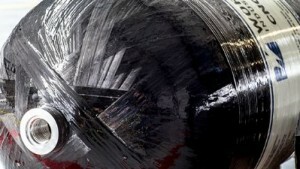 The proposal is expected to be published in June, three months later than its initial target. SCAQMD announces funding: South Coast Air Quality Management District’s Mobile Source Air Pollution Reduction Review Committee (MSRC) has released three new solicitations for clean transportation funding with more than $22 million available for projects. The 2015 Local Government Match Program provides matching funds to cities and counties for qualifying projects in the district. Categories include alternative-fuel infrastructure, fleet maintenance facility upgrades, electric vehicle charging stations, medium- and heavy-duty alternative fuel vehicles, active transportation, electric riding lawnmowers, and street sweeping operations in the Coachella Valley. The deadline for submission is Sept. 4, 2015. Major Event Center Transportation programs for the past four years where destinations located in the district are targets for this funding opportunity and include sports arenas, fairgrounds, stadiums, race tracks, speedways, and Convention Centers, etc. Alternative Fuel Infrastructure Funding Opportunities categories include funding for construction of new or expanded alternative fuel fueling stations and incentives for the modification of fleet maintenance facilities in the district. The funding opportunity includes public and private site owners, fleet owners, infrastructure providers, fuel providers and school districts. Funding is available for the construction or expansion of alternative fuel refueling stations; incentives to fleets to upgrade their existing vehicle maintenance facilities; and support fleets purchasing alternative fuel vehicles. The deadline for submission for the major event center and alternative fuel infrastructure programs is July 29, 2016. Making the business case for renewable natural gas: Kudos go out to Joanna Underwood, president of Energy Vision, for her commentary in Denver Post on solutions renewable natural gas (RNG) bring to Colorado’s economy and environment. As the Piceance Basin gas reserve declines, natural gas production is shrinking, which will likely mean job loss and slower economic growth. Gov. John Hickenlooper’s fracking task force may be seeing confrontation between the gas industry and parties opposing the fracking. Underwood makes the case that the polarizing debate could be resolved by tapping into the state’s organic waste stream to make RNG. You can also view Energy Vision’s revamped new website here. Tesla goes to Maryland: Maryland Governor Larry Hogan signed a bill allowing Tesla Motors to sell directly to consumers. 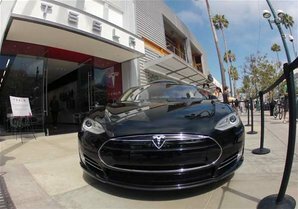 It takes effect Oct. 1, and allows Tesla to operate as many as four locations. That follows soon after Georgia allowing Tesla to operate five locations in the state and in March, New Jersey allowed Tesla to open four locations while also having one service center open for Tesla owners. In other Tesla news, Consumer Reports had a bad experience test driving the Tesla Model S P85 D when the driver-side door handle failed to let the driver in. The magazine’s car reliability survey has shown that doors, locks, and latches are the biggest trouble areas for Tesla, and that the Model S has far higher than average rates of these types of problems. ConocoPhillips adopting propane autogas: ConocoPhillips said it will convert 30 trucks to propane autogas this year and replace more than 300 more trucks over the next five years with vehicles powered by propane fuel technology. That follows thousands of miles on road tests in New Mexico and Colorado since 2011 working with ROUSH CleanTech propane vehicles. For the ConocoPhillips fleet, propane autogas reduces greenhouse gases by up to 25%, carbon monoxide by up to 60%, and nitrogen oxide by 20% compared to gasoline. Other benefits include safety of the fuel, size of the fuel tanks, performance, reduced fuel costs, extended maintenance intervals, and drivability. Cleaning up freight operations: Kellogg’s, Walmart, Anheuser-Busch, Apple, Adidas, General Mills, H&M, Lowes, CVS, and Hershey are working hard at improving efficiency and environmental management, according to Jason Mathers, senior manager on supply chain logistics at Environmental Defense Fund. Companies are tracking logistics emissions, setting performance goal benchmarks, and are seeking to shape external factors as a leadership practice. Fiat Chrysler chief goes on field trip: FCA CEO Sergio Marchionne has been rejected for an office visit with General Motors and Ford, but did get a greenlight from Tesla Motors and Apple. Tesla CEO Elon Musk and Apple’s Tim Cook were willing to meet with him. No news yet on whether Chrysler models will be powered by Tesla motors and battery packs, but Marchionne did have a good time. “I’m incredibly impressed with what that kid has done,” he said about Musk, according to Reuters. Tim Cook talked about Apple’s “intervention in the car,” Marchionne said. How to reduce air pollution: Older or badly tuned vehicles produce the vast majority of harmful emissions in Toronto. University of Toronto researchers measured exhaust from 100,000 vehicles driving past air sampling probes set up on one of Toronto’s busiest roads. The researchers found that 25% of the cars emitted 95% of the total particulates and 93% of the carbon monoxide. “How you drive, hard acceleration, age of the vehicle, how the car is maintained – these are things we can influence that can all have an effect on pollution,” according to author Greg Evans. EV forecast: The US is expected to be the largest EV market throughout the forecast period in a new Navigant Research study, with annual EV sales in 2024 exceeding 860,000 in the conservative scenario and 1.2 million in the aggressive. Annual sales in Canada, which is about one year behind the United States in terms of vehicle availability, are expected to reach over 74,000 PEVs in the conservative scenario and over 91,000 in the aggressive by 2024. Cheap oil won’t beat all biofuels: When oil prices hit $50 a barrel, as they’ve done lately, alternative fuels feel the squeeze. Lux Research evaluated 25 alternative fuel producers and found some biofuels companies prepared for the price drop. Renewable diesel producers Neste Oil and Diamond Green Diesel, gasification specialist Red Rock Biofuels, and Edeniq, which makes cellulosic ethanol, were among 13 alternative producers of fuels best positioned for cheap oil, according to the Lux Research report. Trillium CNG takes Frito-Lay award: Trillium CNG was named Supplier of the Year by the fleet division of Frito-Lay North America; the award was given for superior customer service and operational excellence in supporting Frito-Lay’s network of one private and nine public access compressed natural gas (CNG) stations. Trillium CNG dispensed more than 2.2 million gasoline gallon equivalents (GGEs) to Frito-Lay last year. 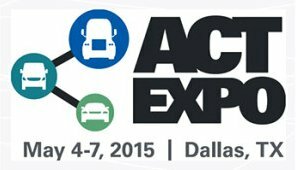 For Worthington Industries, displaying at 2015 ACT Expo was a smart move for announcing new product technologies to fleet operators interested in natural gas and propane autogas vehicles. Wayne Powers, alternative fuels general manager at Worthington Industries, talked to Green Auto Market about what fleets are thinking about alternative fuel vehicles during a time when gasoline and diesel prices stay down; and the experience Worthington Industries has in storage and transporting of compressed natural gas, propane autogas, LNG, and hydrogen, plus lightweight materials used in passenger and commercial vehicles. At ACT Expo, the company introduced its largest-diameter compressed natural gas fuel cylinder – a 26.2-inch-diameter Type III carbon fiber-on-aluminum tank. Its inner aluminum liner dissipates heat during fast-filling allowing for an additional 15% to 25% more fuel storage compared to Type IV cylinders of similar size, Worthington Industries said. Fleet operators of Class 8 heavy-duty and refuse trucks were very interested in the cylinder, which is expected to reach final certification in late June, Powers said. Worthington Industries staff also connected with fleets interested in propane autogas vehicles during ACT Expo. Last year, Worthington won approval by American Society of Mechanical Engineers (ASME) of its propane autogas fuel tank designed to avoid wasting cargo space; the steel tanks are at the forefront of leak prevention, Powers said, and Worthington Industries is the only North American company to offer the toroidal tanks that have been popular throughout Europe. Worthington saw the need for the convenient tire-sized tanks in the U.S., and faced the stringent ASME propane autogas fuel tank regulations head-on to earn approval, the company said. Pump prices for gasoline and diesel have dropped dramatically in the past year. During ACT Expo, Worthington Industries saw both sides of the issue from fleet operators, Power said. Fleets deploying CNG and propane-powered vehicles continue maintaining their interest in vehicle acquisitions, albeit at lower demand than a year ago. Fleets and transit bus operators will continue acquiring the vehicles, tanks, and infrastructures. However, fleets that are new to the technologies say they’ll continue to stay “on the sidelines” for now, Powers said. Stationary storage and fuel transport delivery also have been strong markets for Worthington in the US and overseas, and that includes hydrogen. Bulk gas transport to industrial gas producers and fueling sites have seen strong demand in the hydrogen market, he said. Powers says it’s been helpful for the company to remain “fuel neutral” and make its storage technologies available for users of hydrogen and other alternative fuels. Liquefied natural gas (LNG) is seeing a lot of interest in the market, especially for LNG transport trailers. The “lightweighting” trend in vehicle manufacturing, tied to US Environmental Protection Agency fuel economy and emissions mandates, has also paid off for Worthington Industries. The company has been known for several years as a maker of composite cylinders using a wide variety of metals. All of the OEMs have alternative fuel programs; Worthington cylinders reduce overall weight in fuel systems and provide the right tanks for OEMs to meet emissions and safety standards, Powers said. Autonomous Heavy-Duty Truck: Freightliner Trucks, a Daimler Trucks North America division, just earned the first-ever license in the US to operate an autonomous heavy-duty truck. Nevada Governor Brian Sandoval has given the green light to Freightliner for what it calls the Inspiration Truck; the truck was unveiled last week along with a promotional video showing the Inspiration Truck rolling over the wall of the Hoover dam. The truck was extensively tested on Nevada roads before being granted the license; Daimler cites the high percentage of truck-involved accidents that include driver fatigue and the solution that Inspiration Truck provides. Concern over Tesla Earnings: While Tesla’s new energy storage division grabbed a lot of attention and enthusiasm last week, Tesla Motors’ first quarter earnings call went in another direction. Analysts are concerned about how long the company will be depleting its cash and cash equivalents – which went down to $1.51 billion on March 31 from $1.91 billion three months earlier. Adam Jonas, an analyst at Morgan Stanley, is concerned that cash could run out in about three quarters if this rate continues. During the quarterly call, Tesla executives said the spending has been focused on the upcoming Model X launch, toolings, a new paint shop, the Gigafactory, and its sales and service network. On a more positive note, Bloomberg Business reported that since launching its new battery storage product for homes and businesses, the company has taken orders for about $800 million in potential revenue. Hawaii Backs Off E10: Hawaii lawmakers passed a bill last week that would put an end to 10% ethanol blend (E10) in Hawaii gas stations. Gov. David Ige hasn’t yet made a decision on the bill, but he indicated he may be signing it. When the state followed California’s original lead and mandated the ethanol blend in 2006, the idea behind it was to support alternative fuels and to boost local agriculture. Opponents have made a convincing point that it’s missed the mark since Hawaii has been importing the blended fuel and paying a high cost for it. Customer Support from Fisker: Fisker Automotive is starting to emerge from the ashes after its 2013 bankruptcy and buyout by Chinese giant auto parts maker Wanxiang last year. Fisker has opened up a customer support program (CSP) for Karma owners that includes complementary services. For current owners of the Fisker Karma plug-in hybrid, the program will provide parts and labor for covered repairs free of charge up to $2,000; owners are entitled to additional CSP benefits of $2,000 for parts and $1,000 for labor for covered repairs above and beyond the program benefits. Formula E a Big Hit: The Formula E electric race car series, which went through Long Beach, Calif., in early April, is gaining a lot kudos. Sellout crowds have been showing up, major new sponsors and investors, and a long list of cities interested in hosting future races. “We have over 180 cities that have requested to have a race, and many of them are ready to pay quite substantial money for that,” Formula E CEO Alejandro Agag said. Toyota and Mazda Partnership: Toyota and Mazda haven been in discussion about trading green technologies. Under a partnership deal, Toyota would supply fuel cell and plug-in-hybrid technology to Mazda; in return, Mazda would provide its proprietary Skyactiv technology to Toyota to grow its lineup of fuel-efficient gasoline and diesel vehicles. The companies have worked together on projects for years, including 2010 when Toyota provided its hybrid vehicle system to Mazda. ARI SustainableWorks: Leading fleet management services provider ARI just launched ARI SustainableWorks, a consulting service designed to help organizations configure best-in-class fleets supported by clean, efficient, and cost-effective fleet solutions. The consulting team examines the entire life cycle of a vehicle fleet in order to determine how best to customize their recommendations and solutions. This includes evaluating fleet utilization, determining how best to strategically implement clean technology vehicles, developing more efficient driver behavior strategies, and conducting comprehensive fleet emissions reporting. Paid Public Charging: One of the classic debate topics about electric vehicle (EV) charging stations is who will pay for all the thousands of public stations that need to be deployed to reduce range anxiety. So far, it hasn’t really been EV drivers. Nearly two of out of three public charging stations in US are free to use, according to PlugShare’s quarterly report. For restricted-access public stations, that ratio increases to about 75%. Examples of restricted access charging stations include workplaces with employee-only charging, stations located behind gates, and dealerships with charging for existing customers only. GM Falling Behind on Battery-Powered Vehicles: General Motors is falling far behind on its original intent to sell at least 500,000 vehicles with some form of battery power – including the Chevrolet Volt plug-in hybrid, Chevrolet Spark battery-electric vehicle, Cadillac ELR plug-in hybrid, and GM vehicles with its eAssist system that boosts fuel efficiency in gasoline-powered cars. The company said it counted 180,834 electrified GM vehicles on U.S. roads last year, up from 153,034 electric-powered vehicles in 2013. The automaker is looking forward to launching its 2016 Volt with an increased driving range of 50 miles on battery; and its Chevrolet Bolt all-electric car that will begin production in 2016 and is expected to have a 200 mile per-charge driving range. The fifth annual Alternative Clean Transportation (ACT) Expo, held May 4-7 at the Kay Bailey Hutchison Convention Center in Dallas, was a showcase for new product and technology unveilings to an audience of more than 3,500 clean transportation stakeholders and 200 plus exhibitors. Electric Drive Transportation Association became one of the new partners for the event, and conference attendees navigated through a series of keynote speakers, workshops, and exhibit hall visits while using a new mobile device application introduced by ACT Expo organizer Gladstein, Neandross & Associates. Ford Motor Co. said that the 2016 F-150 pickup will be available with a 5.0-liter V8 engine that can run on compressed natural gas or propane. Alliance AutoGas introduced the first-ever Class 8 truck propane-diesel blended fuel system, which has been approved by the US Environmental Protection Agency as emissions-compliant. The California Air Resources Board has also certified the two bi-fuel engine models that include a 13-liter Volvo engine and 14-liter Detroit Diesel engine. Cummins Westport will offer the ISB6.7 G, a 6.7-liter dedicated natural gas engine for medium-duty trucks, shuttle buses, and vocational vehicles. It’s based on the Cummins ISB6.7 diesel engine platform and will operate exclusively on natural gas – either compressed natural gas or liquefied natural gas – and will begin production by mid-2016. UPS announced that it has an agreement with Clean Energy Fuels to purchase its Redeem brand renewable natural gas (RNG). UPS fueling stations in Sacramento, Fresno and Los Angeles will begin dispensing RNG this month; the delivery giant said that the deal makes it the largest user of RNG in the U.S. shipping industry. Smith Electric Vehicles is coming back to the market, announcing a $35 million joint venture with Hong Kong battery and vehicle producer FDG Electric Vehicles Limited. The JV allows Smith to “go to our partners and say, we have stability, capital, capacity,” said business strategy and process VP Terry Pageler. Penske Truck Leasing announced that the US Department of Energy has awarded the transportation company a $400,000 grant for the company’s Alternative Fuel Vehicle (AFV) Demonstration and Enhanced Driver Experience Project, to be administered by the Office of Energy Efficiency and Renewable Energy. Penske will utilize the funds to further introduce alternative fuel vehicles to its customer base. Toyota named eight Northern and Southern California dealerships that will sell its upcoming Mirai hydrogen fuel cell vehicle. Toyota is working with FirstElement Fuel on a California fueling station network, and will offer free fuel to its first customers. Air Liquide will build 12 hydrogen fueling stations in New York, New Jersey, Massachusetts, Connecticut, and Rhode Island. Clean Energy Fuels Corp. showcased its station that sells both liquefied and compressed natural gas as part of a tour in Dallas. Other tours included a Penske Truck Leasing maintenance facility and visits to Shell LNG, Questar Fueling, and Love’s natural-gas fueling stations. This year’s program featured a number of new workshops and forums coordinated with Electric Drive Transportation Association. They focused on electric drive technology and how these vehicles are meeting the needs of drivers and fleet operators while advancing energy security, environmental sustainability, and economic independence from a monopoly fuel. BSR, a global nonprofit that researches sustainable fuels, issued reports exploring the challenges faced by fleets and truck operators in making clean fuels work. With biofuel mandates, California’s low-carbon fuel standard, and other market forces, fleets and truck operators can feel like they are being pulled in multiple directions, BSR said. In the near future, BSR will be offering truckers and others companies in the logistics supply chain an analysis to help them make decisions on what types of trucks they should purchase. Trucking industry executives said they see a future for natural gas as a viable fuel for the industry despite relatively low gasoline and diesel prices. One of the panelists, Drew Cullen, senior vice president for fuels and facility services for Penske Truck Leasing, said he was optimistic even though grant programs are not coming together as fast as they could be. Frito-Lay North America has 300 compressed natural-gas tractors and plans to add another 100 by the end of the year, along with 280 electric box trucks, said Gregg Roden, the company’s senior vice president, during a speaker session. Margo Oge, former director of the Environmental Protection Agency’s Office of Transportation and Air Quality, participated in a speaker panel on the challenges women face while working in the trucking industry. Women are still greatly underrepresented in that industry, and those who are employed still face challenges balancing work and home life, according to a panel of female executives. They also tend to be the sole representative of their gender in the board room, Oge said. T. Boone Pickens said that he’s observed six collapses in the price of oil since 1980, like the recent one with a 50% drop in prices that made diesel much cheaper. Diesel will continue to dominate trucking fuel for several years, but Pickens thinks that the price of natural gas will continue to be cheaper than diesel. The next ACT Expo will take place May 2-5, 2016, in Long Beach, Calif. Click here for conference coverage of 2015 ACT Expo. EV sales in April: The Tesla Model S secured its top spot in front of the Nissan Leaf for the month of April – 1,900 for the Model S versus 1,553 for the Leaf (according to HybridCars.com and Baum & Associates). For 2015, the Model S is leading US the electric vehicle (EV) segment – with 6,800 units sold compared to No. 2 Leaf at 5,638 sold this year. The Leaf is still leading the pack as the highest-selling EV ever – nearing almost 78,000 in the US and expected to cross the 200,000 mark in global sales sometime this summer. The Chevrolet Volt saw 905 units in April, its highest monthly total since last December. There were a few surprises in the top 10 in April EV sales – one of them being the best-selling month for the Chevrolet Spark EV at 920 units sold. The Ford C-Max Energi also saw a big increase on the list, and the BMW i3 saw its first sales drop since entering the US market. Autonomous vehicles take over SAE World Congress: Automakers are running the gamut on self-driving cars – similar to alternative fuel vehicles. No one technology is winning but several are being considered. “There are many schools of thought and many concepts being tried,” said Cadillac spokesman David Caldwell, during the annual SAE World Congress in Detroit. German automakers have been taking the lead – including BMW unveiling the i3 hybrid version equipped with Traffic Jam Assistant two years ago, which allows the vehicle to accelerate, brake and steer at speeds up to 25 mph. Keynote speaker Ray Kurzweil, director of engineering at Google and a recognized futurist, says that the days are approaching when an inexpensive computer outperforms a human at a task such as driving; reasons for self-driving cars moving forward include their role in drastically reducing road fatalities and freeing people up to do something useful during their dreaded commuter trips. Demand strong for CNG/propane F-150: Ford Motor Co. says the 2016 F-150 pickup will be available with a 5.0-liter V8 engine that can run on compressed natural gas or propane. Ford says demand for these trucks has been steadily increasing for the past five years. Ford sold a record 16,821 commercial/fleet vehicles with CNG/propane gaseous engine-prep packages in 2014, and the automaker thinks that 2015 will be even stronger. Customers have been asking for more trucks and vans that run on these alternative fuels because it lowers their fleet operating costs and reduces greenhouse gas emissions. Vouchers in Chicago: VIA Motors has gained an exclusive voucher program for Chicago area fleets and business owners. VIA says it will dramatically reduce the initial costs of owning a VIA Motors extended range pickup truck, extended range electric passenger van, or extended range electric cargo van. The extended range pickup is now eligible for a $41,200 voucher, the passenger van is eligible for a $39,460 voucher and the cargo van is eligible $42,892. Price coming down for Volt: The 2016 Chevrolet Volt will be priced from $33,995 when it goes on sale sometime this fall; the price, which includes delivery, is $1,175 lower than that of the outgoing 2015 Volt. The 2016 Volt also offers appealing features – extended range, out to 50 miles on the battery and a fifth “seating position” in the car. That will put the Volt more in line with average transaction prices of light vehicles sold in the US. Sources for utility power changing: The U.S. Energy Information Administration (EIA) expects that 91% of a forecasted 20 gigawatts (GW) in new generating capacity will come from wind, solar, and natural gas. By the end of 2015, EIA forecasts that 9.3 GW of new wind generating capacity, 6.3 GW of natural gas, and 2.2 GW of solar. Coal’s share of the electricity-generating load will continue to decrease. Toyota EVs in China: While Toyota has been shifting away from electric vehicles (EVs) in markets such as the US in favor of hydrogen fuel cell vehicles, the Chinese government would like to see a different approach adopted. China wants to see automakers roll out more EVs to meet its “new energy” targets. In joint ventures with Chinese partners Guangzhou Automobile Group and FAW Group, Toyota will introduce the Leahead and Ranz all-electric brands this year in that market. It’s probably for show to please the Chinese government, analysts say. Hybrid and EV commercial vehicles: Navigant Research predicts that global sales of electric drive and electric-assisted commercial vehicles will grow from less than 16,000 vehicles in 2014 to nearly 160,000 in 2013. The size and weight of battery packs in electric vehicles can limit usability for several fleets, but their products choices are becoming more versatile in the next few years for trucks, vans, and buses. Vehicles that qualify for these Navigant Research study categories fall under a broad definition. That includes hybrid vehicles used in commercial applications (medium-to-heavy duty); and niche applications for plug-in hybrid and battery electric vehicles that can use onboard electrical energy to replace idling diesel engines or provide temporary power to buildings or tools at remote sites. Wrightspeed launches turbine generator: Wrightspeed Inc., a manufacturer of range-extended electric vehicle powertrains, has launched the Fulcrum, a turbine generator and electric vehicle range extender. Utilizing a proprietary set of advancements, the Fulcrum’s design could represent a breakthrough that challenges today’s piston engines and existing turbine generators. Wrightspeed is hopeful that the 80 kilowatt Fulcrum turbine generator sets a new standard as the company works to evolve electric vehicle propulsion. Located in Silicon Valley, Wrightspeed was founded by Ian Wright, a co-founder of Tesla Motors back in its startup days. With its new energy storage division (called Tesla Energy), Tesla Motors continues to build on a strategy that’s working for other Silicon Valley neighbors such as Google and Apple. That would be: move into the next logical technology marketplace. Advanced batteries may produce more revenue and profit than electric cars for Tesla in the next few years – and they’ll contribute to Tesla CEO Elon Musk’s vision of reducing dependence on fossil fuels and supporting growth in renewable energy. Along with its electric drive system, Tesla’s greatest strength is batteries – making its $5 billion investment in the Gigafactory potentially more than worthwhile; the company expects the Nevada factory to reach full capacity by 2020 and make more lithium-ion batteries than were produced worldwide in 2013. Tesla Energy will be ready to bring Tesla batteries to homes, business, and utilities to store energy to better manage power demand, provide backup power, and increase grid resilience – with much of it coming from solar power. 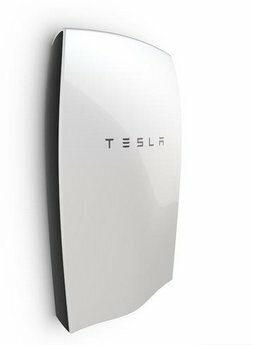 Called the Tesla Powerwall, it includes Tesla’s lithium-ion battery pack, liquid thermal control system, and software that receives dispatch commands from a solar inverter. Tesla Powerwall will be built into a building’s wall and will be integrated with the local power grid so that customers can draw energy from their own reserve. Benefits will include cost savings through load shifting during low rate periods; storing surplus solar energy; increasing the capacity for using more solar; and providing backup energy during grid outages. It’s available in 10kWh, optimized for backup applications, or 7kWh, optimized for daily use applications. Tesla’s selling price to installers is $3,500 for 10kWh and $3,000 for 7kWh. Those prices exclude inverters and installation costs. The company says that deliveries will begin in the late summer of 2015. Tesla has been testing out energy storage projects with some big-name partners including Amazon and Target. Amazon’s cloud computing division, Amazon Web Services (AWS), has been working closely with Tesla for the past year on high-capacity battery technology in data center applications. Target has partnered with Tesla on a pilot test at select Target stores to incorporate Tesla Energy Storage as part of its energy strategy. Tesla has also been supplying batteries to Walmart through pilot projects and a supply agreement with SolarCity Corp. Jackson Family Wines is using Tesla’s stationary energy storage solution in four areas that account for the most consumption in its winemaking process: refrigeration/cooling, lighting, compressed air, and process water treatment. Utilities and solar companies are also working with Tesla on energy storage systems for meeting the next wave of energy demands. Southern California Edison has developed the nation’s largest battery storage system and has contracts in place for an additional 264 megawatts of storage, including projects using Tesla batteries. Tesla has “channel partners” in place for producing the Powerwall. TreeHouse, a sustainable home improvement store, is working with Tesla to sell the Powerwall home battery. SolarEdge, a leader in the global photovoltaic (PV) inverter market, has a deal with Tesla for joint development of a PV storage and backup power solution for the worldwide residential solar market. Vermont-based renewable energy company Green Mountain Power and Tesla will offer Vermont residents a way to use less energy and rely on the grid as a backup system. Tesla CEO Elon Musk does have a few things in common with executives at neighboring Silicon Valley giants – with one of them being expanding into the next logical technology marketplace. He serves as chairman of SolarCity, the largest solar power company in the US (and one started up by Musk’s cousins); he leads innovative space travel company, SpaceX (and its Hyperloop high-speed rail project); the Gigafactory, which is still being developed in Nevada; and the Tesla Motors electric carmaking company, which holds the unique position of breaking into the tough auto manufacturing sector – and surviving. The big question will be whether all of it will work. The massive investment in Tesla since startup has come from private equity shareholders, the stock market, corporate partners (such as Panasonic on the battery side and Daimler on the car manufacturing side), a US Department of Energy loan, and personal investments from Musk from his PayPal startup profits and from other Tesla executives. Tesla Energy will require significant investments in the next few years. Competition in the energy storage market will be fierce. Coda Automotive may not be around anymore in the electric vehicle space, but Coda Energy does have several clients at commercial and industrial sites. Schneider Electric is known for its electric vehicle charging systems, but has a significant presence in the energy storage market. Major solar companies are entering the storage market, along with commercial building suppliers and large battery manufacturers. It may come together for Tesla, and it’s possible that advanced batteries and energy storage could make for the lion’s share of its revenue in the next 10 years.